So, this last week we decided to get new car. I hightlight we, because over the past few weeks throughout the process of making the decision, while it was one initiated by my fiancé, it was one that we ultimately had to come to an agreement on together. It is an interesting transition from being a "single" couple to being an engaged/married couple as decisions that were once yours (even though your may have elicited the other's input), were yours alone. Now, those big decisions must be made by you both. I have learned a lot about myself already in this process of "making joint decisions" thus far. If I am going to be honest, and my fiancé will probably tell you the same, I am that girl that likes to take control - aka I have a tendency to want to be the one to make the decision for us. Not only this, but I like the outcome to be the one that I desire. I understand as this was all great and good when I was living life as a single chickadee, now I have to take this whole other person I love's thoughts and feelings about a topic into serious consideration as they hold the same value as my own. My first thoughts were absolutely, no way. Ry's current car was not very old, worked fine, had sufficient space and it was automatic, which meant I was capable of driving it. That being said, while extremely hard for me, I took a step back from my "you've got to be kidding" attitude, and we worked at making a mutual decision as a couple where both sides had value. While this is something that every couple has to continue to work on and work through, there were some things that I found truly helpful is making this big decision together. 1. Listening. Sometimes we headstrong folk like myself can be so quick to share our thoughts, that we don't take the time to show our loved one the same consideration in taking a moment to listen to what they have to say. 2. Be open to both sides. While my immediate reaction may have been "no sirree". I fought this urge, and strived to be open to hearing what he had to say. 3. Share your side, but avoid criticizing the other. Trust me, I had plenty of reasons ready to share with Ry as to why this car did not see like most practical idea. However, when he shared his side, while I may not have agreed 100%, I worked hard not to criticize his thoughts and feelings. 4. Take some think time. We did not make this decision is one sitting. It was a process and involved multiple discussions. We both needed time to process the points that the other brought to the table before we came back together to discuss again. 5. Pray about it. We strive to keep God at the heart of our relationship. He should be at the heart of our decisions as well. 6. Think about how the decision will affect your relationship. Is it something that will create more harmony and draw you closer together as a couple? 7. Embrace one another's values. Sometimes the best choice may not be the one you may have made on your own, and that's okay. Sometimes we must make a decision because we know deep down it is something that would mean a great deal to our spouse or significant other. In the end, after going through these different steps, we decided that Ry should get that new car that he was so keen on having. When I took the time to listen to what he had to say without shutting the thought down from the get go, I could see that not only was this something that was really important to him, but that he had thought a great deal about. Is it a decision that I would have made on my own? Probably wouldn't have even been a thought on my radar. But I could see that this was something that was going to make my man extremely happy. And I knew that in showing him that I trust him and embrace his thoughts and values, it will only work to strengthen our relationship in the long run. 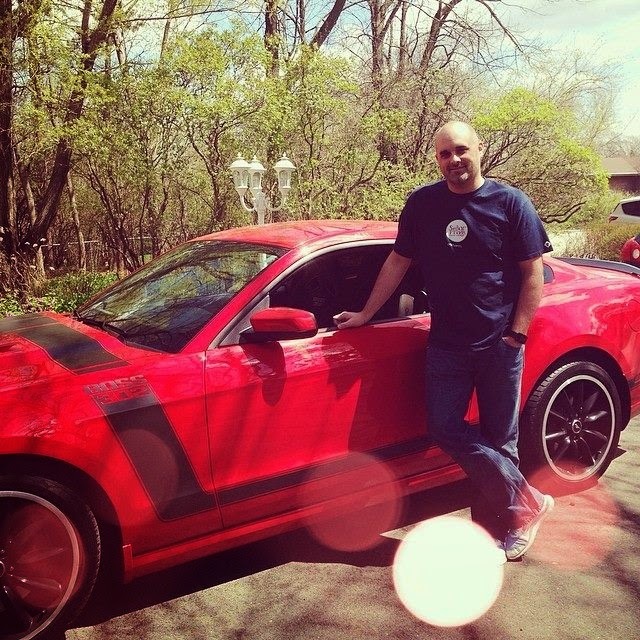 I mean, he does look pretty studly next to his new set of wheels, right? That smile makes it all worth it. Now I just have to learn how to drive stick. Learning to drive standard is always something good to know! :) I can definitely relate to this post! 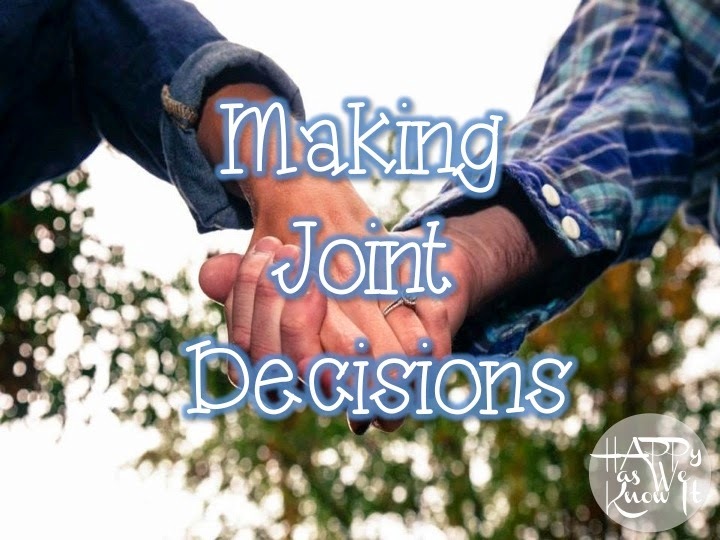 Making the transition to making decisions TOGETHER, not just with the other person in mind, is a huge step and I'm happy to see y'all are doing that even before you get married!